Ever dreamed of going pro? We’re going to take a look at some of the things you can do to massively increase your chances of becoming the next Christian Pulisic. Your attitude on and off the pitch is obviously going to be incredibly important in helping you develop as a youth player. However, you probably don’t realize just how crucial your mindset actually is. Ultimately, attitude underpins everything you do in your quest to go pro. Whether it be the effort you put in at training, how you handle being rejected by scouts, the extent to which you get upset by losses, or just your overarching desire to achieve your goal, your attitude and mental strength will ultimately determine whether you fail or whether you succeed. So what do you need to be aware of? Staying motivated is key to keeping your attitude in check. But it can be tough: for years on end you’ll be putting in an absolutely insane amount of work for little/no reward. And at the end of your journey, there’s no guarantee you’ll ever be paid to play soccer. This may sound like really basic stuff, but motivation is all about visualizing what you want to achieve. The soccer posters on your wall or the background on your phone can actually have a powerful subconscious effect – reminding you of why you keep putting so much effort in each and every day. 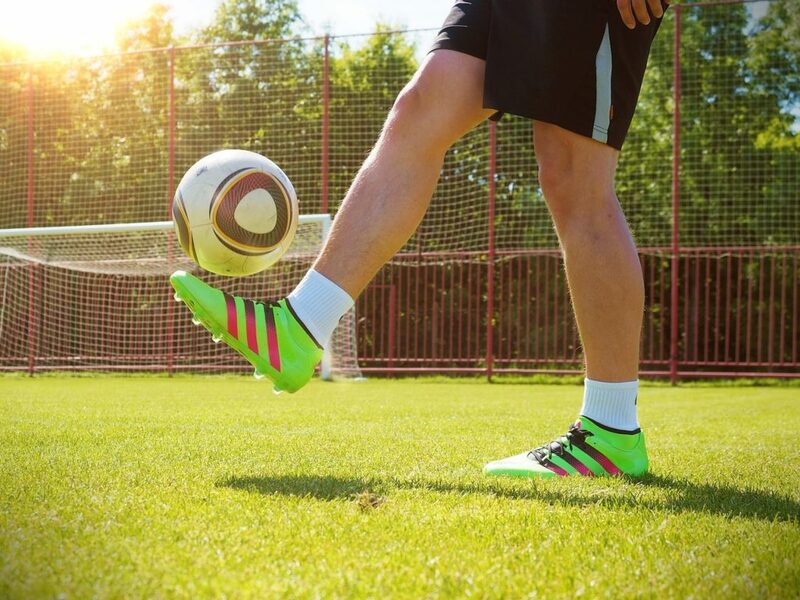 The most healthy motivator is a true passion for soccer. If you’re in it for money, fame, or because your parents want you to play, it’s much easier to get burnt out. There are much easier ways to get rich – you should be playing the sport because it’s what makes you happy. Even if you know exactly what you’re motivated to achieve, it can be hard to find the confidence in your own ability necessary to keep moving forward. Just keep in mind that there are literally tens of thousands of pro soccer players out there, all from different walks of life. 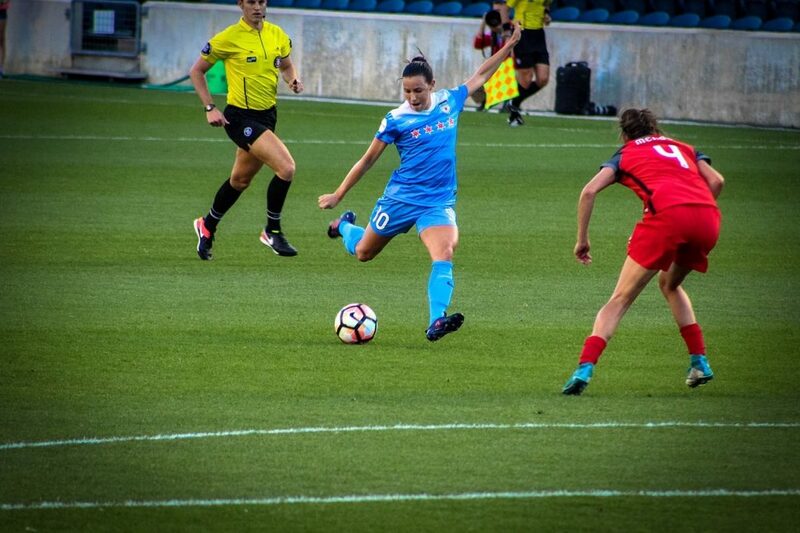 It’s not going to be your background that ultimately determines whether or not you make it (although it can play a factor) – it’s how you actually perform on the pitch. At the end of the day, remind yourself why you’re going down this path. Keep in mind that thousands of others have done what you’re trying, and the majority of them wouldn’t be anywhere near as well-equipped as you are (there was no Google in the 80s/90s!). There’s a balance to achieve here though. While you want to be confident, you also need to be self-critical, meaning you can also figure out what aspects of your game you could improve. This is really important when it comes to training (more on this further down the page). So far, we’ve been mostly talking about your overarching attitude: what drives you forward. But what about your in-game attitude – how do you play at your very best? If you’re having issues developing confidence in your abilities in-game, how you resolve this really depends on what the source of the problem is. If you’re nervous pre-match, you could try listening to music (a popular strategy for the pros), meditating (as suggested by ex-USMNT player and warm baller Jimmy Conrad), or taking a few deep breaths as you step out onto the pitch. If you don’t feel comfortable with your team/coach, find a new one at the earliest possible opportunity. There’s literally no point wasting another season with a team that isn’t going to help you develop into a better player. If you’re afraid of messing up more broadly, keep in mind that it happens to everyone. You need to learn to instantly forget any mistakes you inevitably make, or better yet, learn from them so that you make a better decision the next time around. Possibly the most crushing thing as a youth player is making it into a top-level team, being told there are scouts in the stands, and then receiving no interest at the end of the match. Dealing with these sorts of setbacks takes a special kind of resilience that only the best of the best possess. Again, this goes back to self-confidence. Some players find it useful to have a mental “locker” of awesome performances they’ve had in the past. You can then remind yourself of your actual potential when you encounter a run of poor form. If you fail to get noticed by scouts or at tryouts, you’ve got to be able to use these occurrences as an additional motivator. What this sort of setback essentially means is that you’ve got to try harder to get noticed. The good thing is, you’ll most likely have a few months to a year to improve your game ready for the next opportunity. If you’re in a really good team already, that’s awesome! You know your coach is an expert, and you can work with the development team to fine-tune the aspects of your game (like positioning) that can’t really be improved alone at the park. However, if you’re yet to break into anything beyond the local Sunday league team, you’re unlikely to have a world-class coach. They’re still worth listening to (obviously), and there are certainly plenty of super-skilled coaches at the lower levels who can really help you improve. But they’re unlikely to be able to make you the next CR7. If you find yourself stuck on an average team, you’re going to have to improve the aspects of your game which you can work on alone. Specifically, your first touch, work rate, pass/shot accuracy, and dribbling. If you’re a goalkeeper, you’ll need someone to help you improve your diving agility, ball distribution, and reflexes. With enough practice, you should be able to work your way into a representative/high school/college team through mostly technical ability. Once you’ve got your attitude sorted, you can begin to formulate a training regime to get you to the top of your game. The truth is, becoming a pro requires an absolute ton of practice. Ever heard of the 10,000-hour rule? It basically states that if you complete this many hours of a certain activity, you’ll become world-class at it. This equates to around 2.28 hours of soccer each and every day from the age of 6 to the age of 18. However, you’ve got to make sure that the training you’re doing is actually useful. 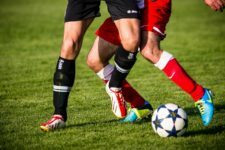 If you’re going to go pro, it’s unlikely that your team-mates are going to be putting in anywhere near as many hours as you are, unless you’re already in an academy or an elite youth squad. Therefore, you’re going to have to spend a decent amount of time training alone at the pitch. Don’t just shoot at goal though. Mix up your routine, and try to focus on specific weaknesses in your game. Take shots and heaps of touches with your weak foot if this is one of your weaknesses. Practice juggling size one soccer balls or tennis balls to improve your first touch. Or, play wall-ball to develop your ball control. Dribbling is best practised with a defender, but there are drills you can do to get better at cutting and turning quickly. For stamina and basic passing practice, play the three ball game. Essentially, you take one of the three balls, and pass it through the other two. Then you run to a different ball and pass it through the other two. Try to see how many passes you can complete without any of the balls touching. To improve your finishing, set up cones two feet from each post to force an accurate shot. Then, dribble the ball into a certain area outside the box, giving yourself only 2-3 seconds to shoot. Don’t forget to shoot with your weak foot too. While it’s still important to work on basic passing and first touch as a goalkeeper/defender, many of the most important skills for these positions can be hard to practice alone. This doesn’t mean convincing the whole team to meet up at the park (although that might be helpful) – even just having one other person can make things a whole lot better. For example, you could do some one-on-one drills, or ping the ball to each other in the air over 40 yards to improve your touch. However, if you do have a few people with you, you can begin to get more creative with your drills, and play small-sided games. Whatever you decide to do, take it fairly seriously (but still have fun) and aim to make these group sessions a regular thing. Try to introduce drills which force you to think – even basic stuff like passing the ball between each other with 2-3 people “in” trying to steal the ball works well – teams like Bayern Munich still use this drill to warm up. While technical ability is definitely more important than stamina for junior players, the reality is you’ve got to be reasonably fit to get scouted. What you need to focus on will depend on your position. Goalkeepers need to develop their agility and core strength more than anything else. 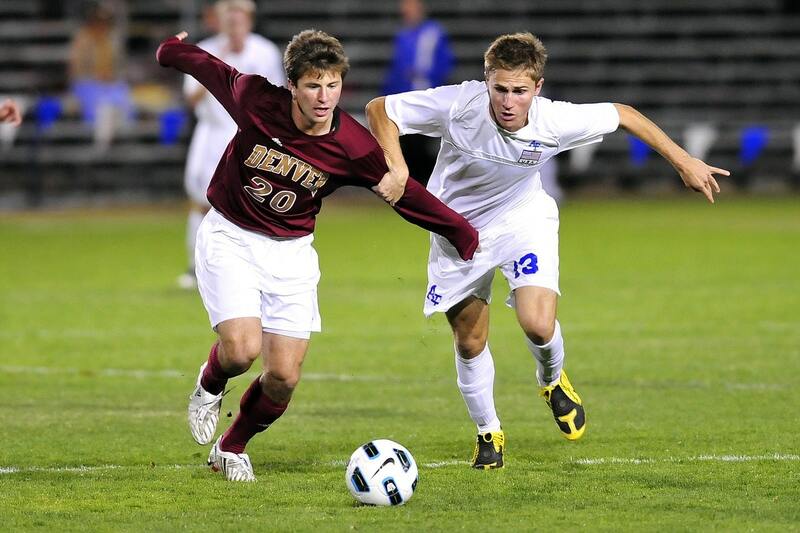 Defenders will want to focus on core strength, jump height, and reflexes. Midfielders (especially Kante types) would benefit most from improving overall stamina (jogging works well) but it’s a good idea to look at core strength too. Forwards also need to be agile, have excellent jump height (for target men) and superb stamina – for chasing the ball down in the 90th minute and making counter-attacks (especially for wide attackers). Most of these are pretty straight-forward – you’ll have to spend a while in the gym to develop core strength, and stamina can be improved through jogging, beep-tests, and regular game time. For agility though, it’s worth checking out some agility ladder drills. Ideally, you want to be doing all three types of practice. While going to your team’s official training and getting a few buddies together is great, you’ll also need to put in extra hours by yourself if you want to go pro. Fitness exercises are useful, but developing technical ability is much more important for younger players (especially those under the age of 14). You’ve got the mindset, you’ve got the skills, now how do you get noticed? The reality is this is going to require even more work. Premier League scouts don’t just turn up to any old game. The first step is to get onto the best-possible team you can. Then, figure out how you can get onto an even better team. Never settle with a single group, even if the team and coach are fantastic, if there’s opportunity for growth. Once you’ve got a team, you need to cement your position in the starting eleven and make sure you’re a crucial part of the team’s success. When someone does eventually watch one of your games, you’ll need to be able to show that you work well as a part of a team, not just as an individual player. This is more difficult during open try-outs, but there are still plenty of things you can do to demonstrate team-work. Don’t be too selfish (obviously). If you see a chance to make an awesome dribble, go for it, but not when there’s a good pass on offer. Put in the extra effort. Never give up if you get beaten, but don’t give away silly fouls. Drop back quickly where appropriate. Be vocal. Call for the ball loudly when it would make sense for you to receive a pass. It’s not worth getting angry/frustrated though – you want to show that you’re calm and clinical. Pick your passes carefully. 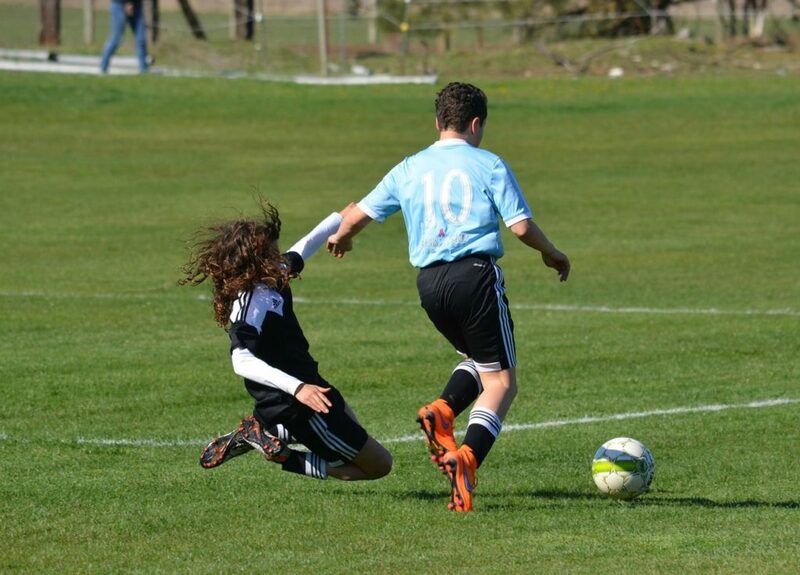 For midfielders in particular, scouts love to see vision and excellent positional play. Try to display your ability in these areas where possible. Play your natural game – after all, this is what you’ll be most comfortable doing. Don’t overthink things, and try to get into a rhythm. This is normally easier after the first 5 minutes when the nerves have worn off. Being friendly and building relationships with other players and coaches is never going to hurt you. While it’s not guaranteed to land you a spot on a top team, having a network may be a way of convincing a scout to show up at one of your games, assuming your performances have impressed the right people. Unfortunately, there’s no LinkedIn for soccer players just yet! If you are approached by a scout, you’ll obviously need to be friendly to them, and answer whatever questions they may have. Remember, don’t sign any contracts without reading every single word and making sure that you understand exactly what the terms of the deal are. It’s probably also worth getting your parents to look at it too, if you trust their judgement. Also consider how joining an academy or pro/semi-pro team will affect your other commitments. If you haven’t yet graduated high school, you’ll need to at least finish your schooling from home to ensure you still get your diploma. Ultimately, if you really love playing soccer, then going pro is by no means unachievable. It’ll be very difficult though, and will require an incredible level of commitment. Remember to enjoy yourself on the pitch. Even if you love the sport now, if you take things too seriously it’s going to start to feel like a job. Your training doesn’t even need to be incredibly well-structured. Just try to get as many touches on the ball as possible, and get as many hours in as you can. Once you’ve developed your technical ability (and have the attitude to match) you can get into a top-level team, and work on fine-tuning your game with a coach that really knows what they’re doing.